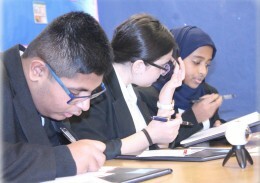 On Friday 8th February, students in Year 8A were engaged in a passionate geography debate on the topic of tourism and whether this has more of a positive impact than negative. The class was split into several factions with two teams of four (three speakers and one rebuttal), four judges, one host, one producer, and the all-important audience. All members of the class made an executive decision and felt it was important to showcase why Rosedale College is a centre of excellence for inclusivity. Therefore, each individual played a crucial role in the debate, such as researchers, speech writers and timekeepers. The two teams, First Class and Elite, went head-to-head, contending the pros and cons of tourism by exploring the socioeconomic, environmental and even the moral impacts that travelling and sight-seeing has on countries and its citizens. First Class, who were debating against the point, felt that tourism sometimes exploited locals and that not enough of the revenue generated went back into the country; money they felt was necessary for improvements that would benefit local communities and citizens. However, on the other hand, Elite felt that the economic benefits, such as creating jobs and opportunities in LEDC countries, meant that tourism was an invaluable, commercial organisation. Overall, the judges felt that whilst Elite had eloquent speakers, the argument First Class made was substantiated by concrete evidence and statistics; thereby tipping the scales and ruling in their favour. To end the debate, all members of the class shook hands and congratulated each other on the successful event. Members of staff made it clear that they were very proud of the Year 8 students, saying, “They are the epitome of excellence. There is a real sense of camaraderie between the students and they are a joy to teach.” Congratulations Year 8!